All three of Zest's bold, all natural flavors have as much caffeine as a strong cup of coffee (3x the levels of regular teas). 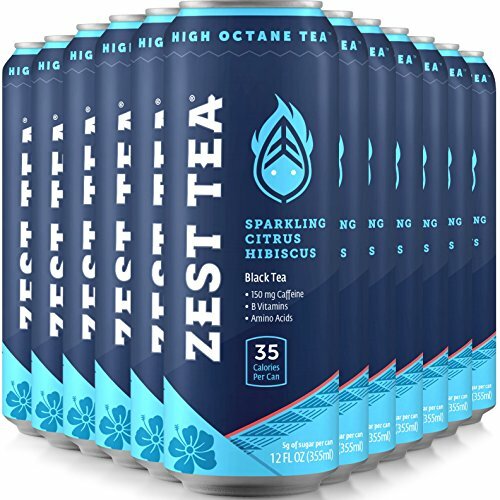 Unlike energy drinks and coffee, Zest contains L-Theanine - a rare amino acid that studies show enhances alertness while cutting down on the caffeine jitters and crash. The result is a more steady and focused alertness that lasts for hours! Contains 150 mg of natural caffeine; More caffeine and less calories than regular energy drinks. With only 25 calories and 5 grams of sugar, our teas are perfect for anyone looking for a natural, functional energy option - or just something fresh and tasty to sip on! If you have any questions about this product by Zest Tea, contact us by completing and submitting the form below. If you are looking for a specif part number, please include it with your message.